We have over $1000 in rewards waiting to be claimed! Rewards unclaimed one year after being approved will be withdrawn. 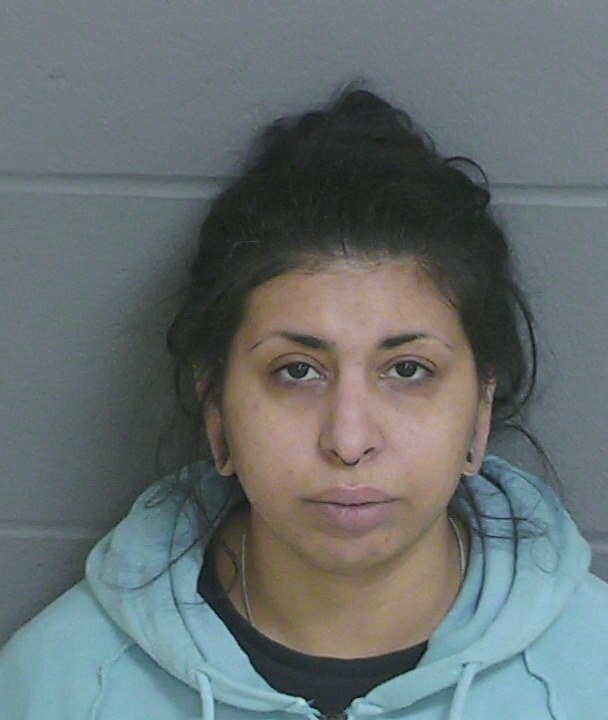 If you are unsure of your CrimeLine number or the anonymous identity you created and believe you may be eligible for a reward, please call 749-6000. We can anonymously get your reward to you. To submit a tip for a town other than Dover, click the Resources tab. please call us at 749-6000. 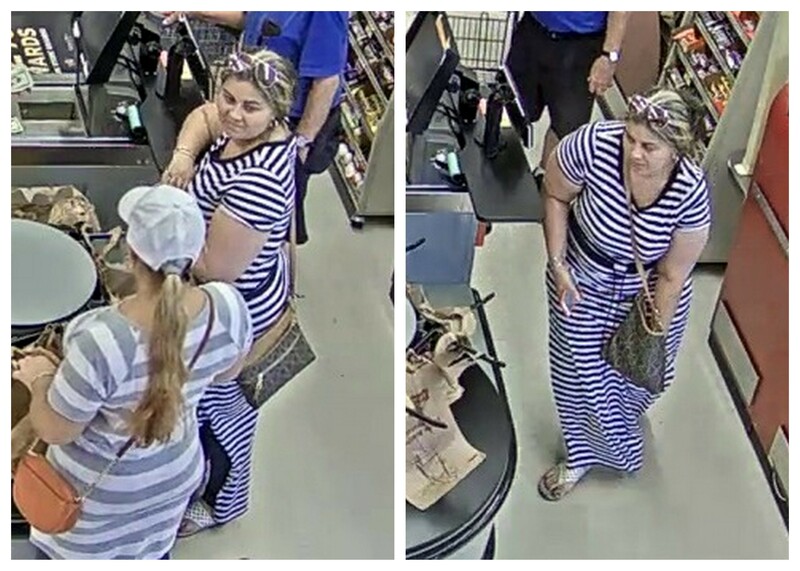 07/18/2018 - Dover Police is seeking to identify the two women in striped dresses in the photo collage below. 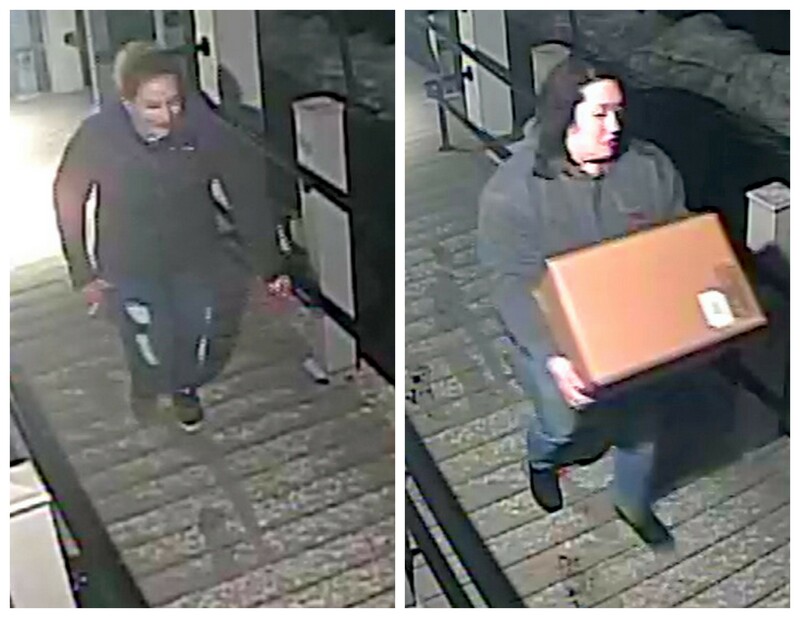 03/25/2018 - two females stole a FedEx package from an address on Chestnut Street on 03/25 at 01:50 a.m.
9/13/2017 - Can you help us identify the fraud suspect in the image below? 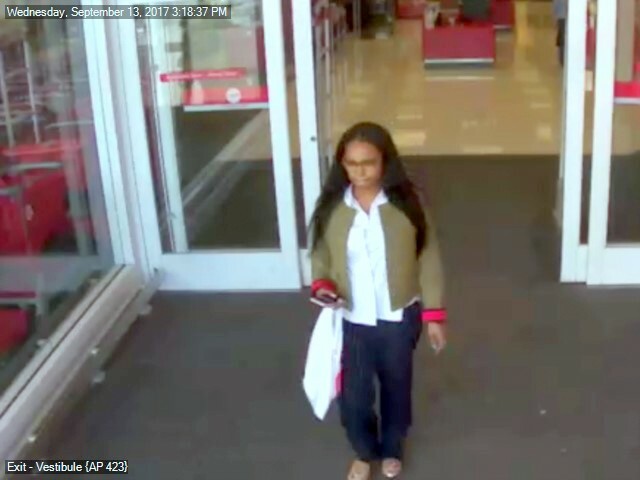 8/22/2017 - Can you help identify the individual in the surveillance photo below? Dover Police Department is investigating an illegal dumping that occurred on May 30, 2017 at approximately 8:00pm on River Street. Some of the items dumped were mattresses and an outdoor grill. The suspect vehicle was recorded entering and leaving the scene. It is a white full size four door pickup with what appears to be a large decal on the back window. 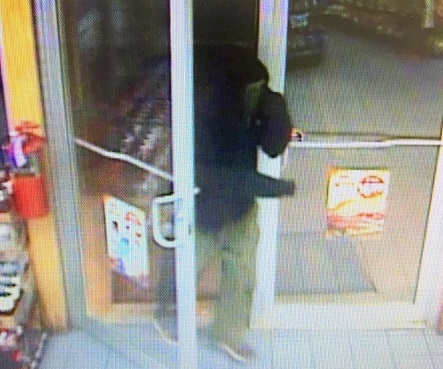 Dover Police Department is investigating a robbery that occurred at approximately 10:36 PM on October 4, 2016 at the Mr. Mike’s gas station and convenience store located at 165 Portland Avenue. 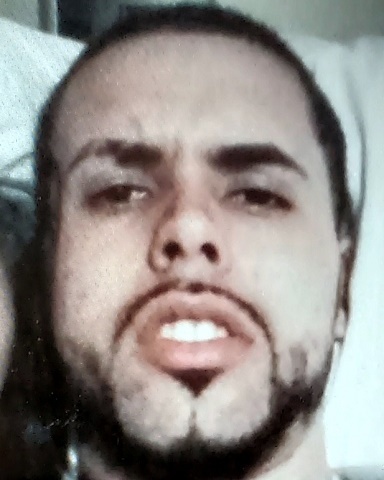 The suspect is described as a white male approximately 5’7”, with blue eyes, wearing a black hooded sweatshirt, a scarf over his face, green pants and sneakers. 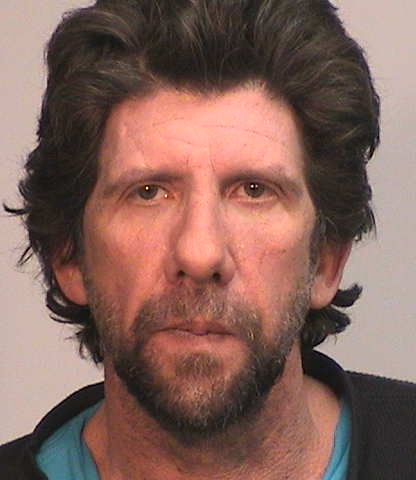 An image of the suspect is below. The Dover Police Department is investigating an arson that destroyed an automobile at approximately 11:30 PM on Monday, November 2, 2015 at Lilac Gardens Apartments. The fire occurred in the parking lot of the apartment complex. 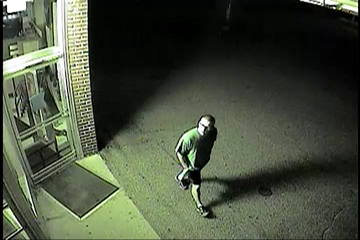 Surveillance video shows a male subject walking in the area during the time of the arson. 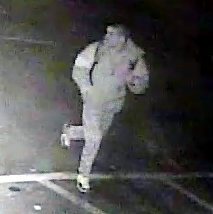 The male subject appears to be wearing camouflage pants, two-tone colored shoes, a dark colored hooded jacket, and carrying a backpack. 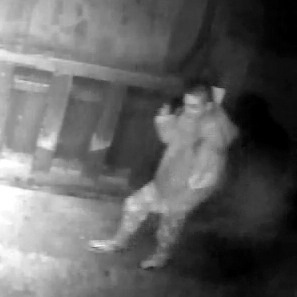 At this time, detectives merely wish to speak to the subject in the photos to determine if he has any knowledge that may assist in this investigation. 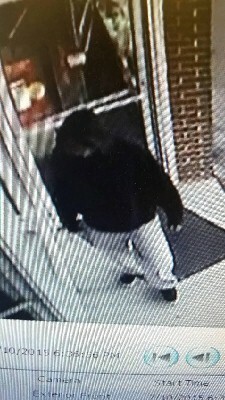 The Dover Police Department is investigating a robbery that occurred at approximately 6:46 PM on July 10, 2015 at the CVS Pharmacy at 118 Central Avenue, Dover. 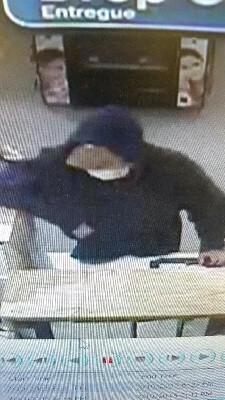 In the robbery the suspect passed a note indicating he had a weapon and demanded prescription painkiller medication. The suspect is described as a darker skinned white male between 5’11” and 6’3” tall wearing a baseball hat, dark gray sweatpants, a white t-shirt, blue hooded sweatshirt, and dark shoes with a light colored sole. 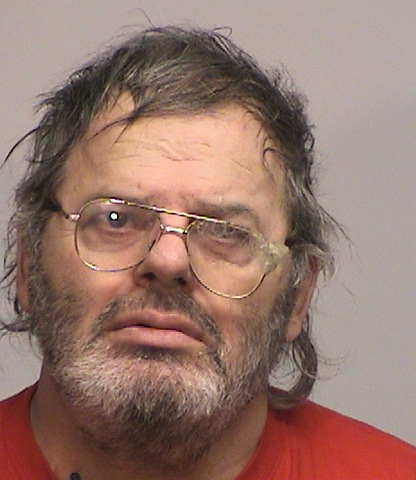 The suspect also wore a white mask, similar to a medical style mask, on his face. On Saturday, November 22, 2014, two men, one armed with a handgun, robbed Papa Jay’s Pizza at 18 Broadway. 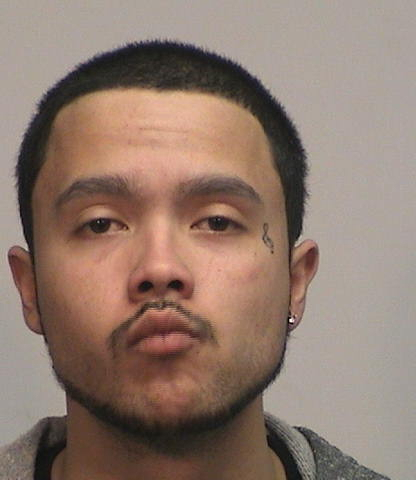 As the men fled the scene, a shot was fired in the street. The man with the pistol was described as wearing a maroon sweatshirt, light colored pants, a baseball hat, and a partial face mask. 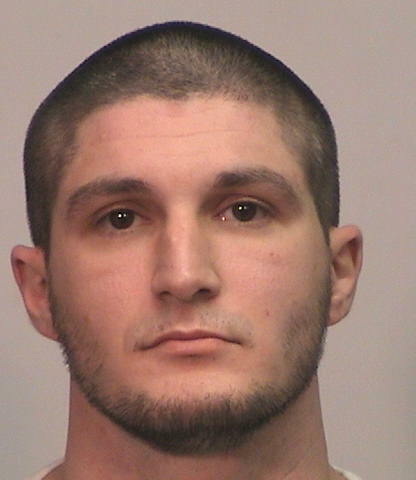 The second man was described as a white male wearing a black leather jacket, black hooded sweatshirt, black baseball hat, and black pants. That case remains under investigation. 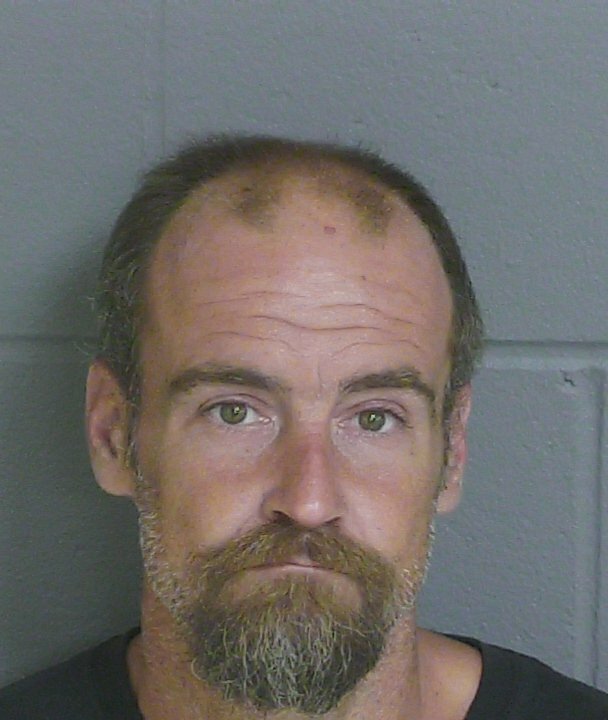 These cases are being investigated by the Dover Police Department’s Special Investigations Bureau. 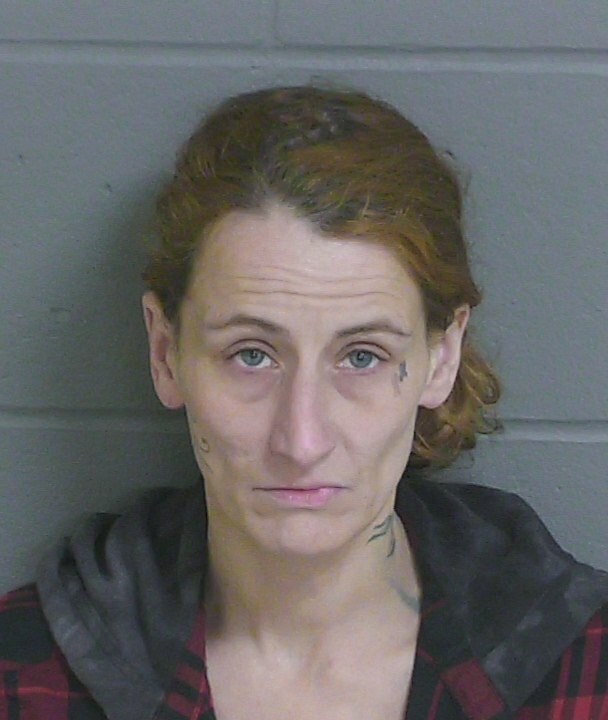 Anyone with information about these incidents is asked to call the Dover Police Department at 603-742-4646. 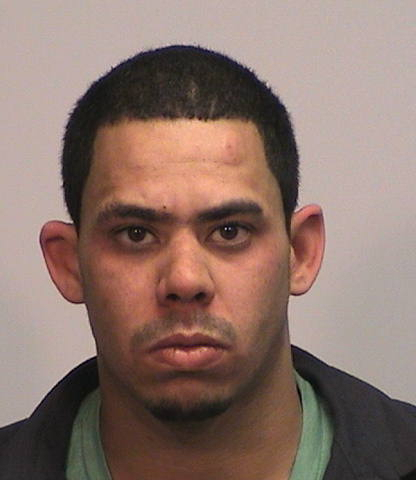 Anonymous tips may be called into the Dover Crimeline at 603-749-6000. The Dover Crimeline can also be contacted via www.dovernhcrimeline.org. 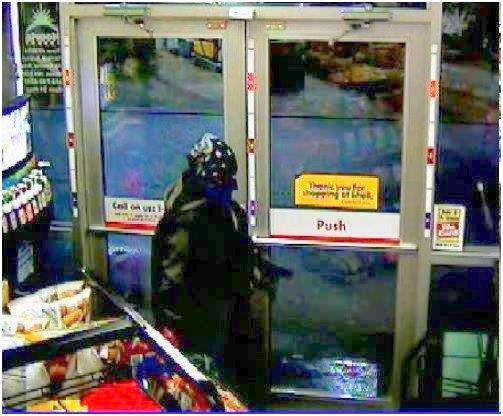 The Dover Police Department is investigating two overnight burglaries that occurred between the hours of 4:00am and 6:00am on September 4, 2014, at Strafford House of Pizza and CVS Pharmacy, both located at 130 Central Ave. 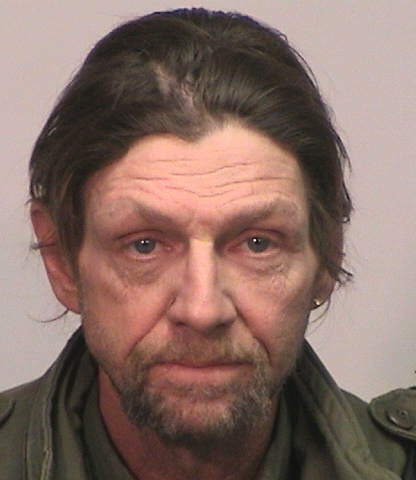 The suspect forced entry into both businesses. At this time it is still unclear exactly what the suspect may have stolen after gaining entry into the businesses. 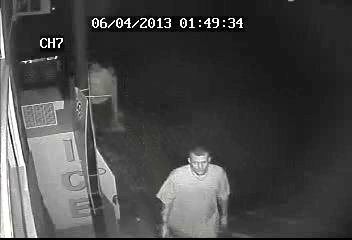 Can you help us identify this burglary suspect? 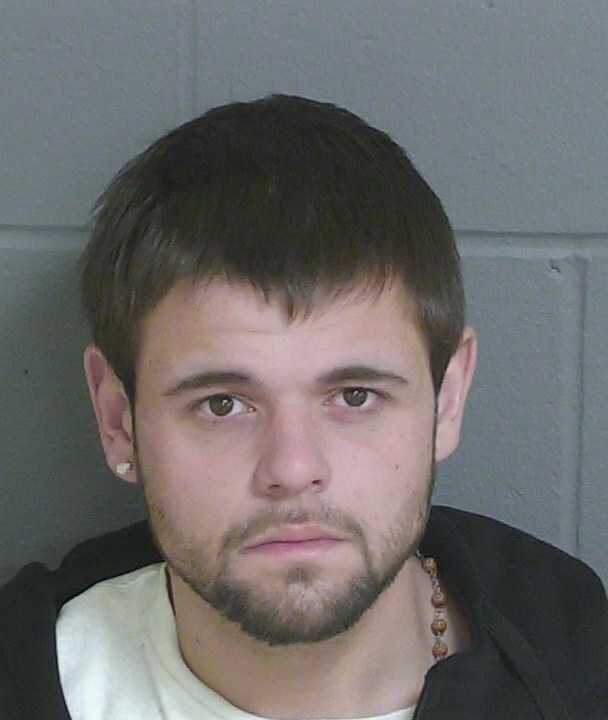 The Dover Police Department is investigating a robbery that occurred at approximately 7:35 PM on January 23, 2014. At the Central Avenue Shell located at 46 Central Ave. in Dover. 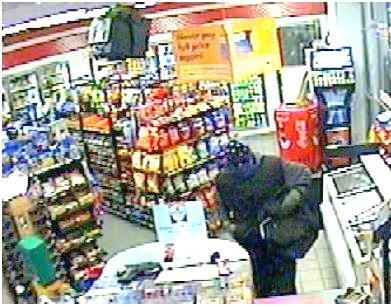 During the robbery the suspect displayed a knife and then fled the store on foot with a quantity of cash. 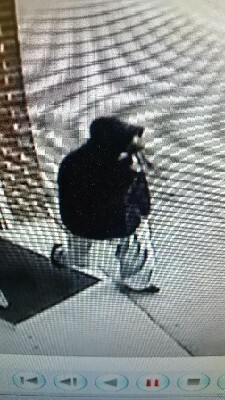 The suspect is described as a white male approximately six feet tall with a thin to medium build who was wearing brown boots, baggy jeans, a dark colored hooded sweatshirt with white lettered logo across the front, baseball hat with a red brim and a mask covering the lower portion of his face. See image below. 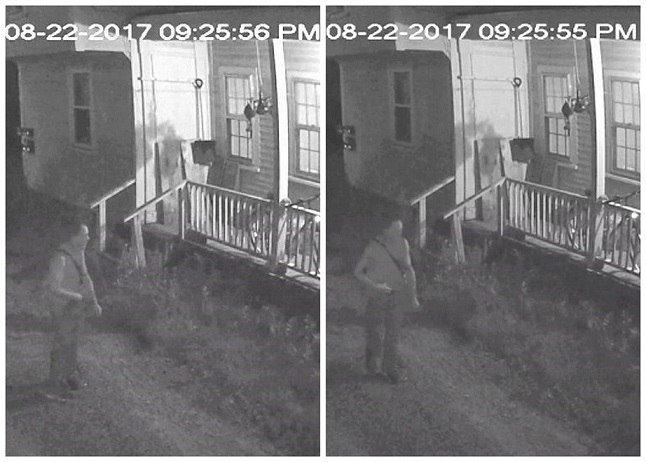 Click the picture to view a short video of two burglary suspects. Do you know them? In addition to information on these crimes, Dover CrimeLine would be interested in hearing from anybody with information regarding the illegal use or sale of drugs. 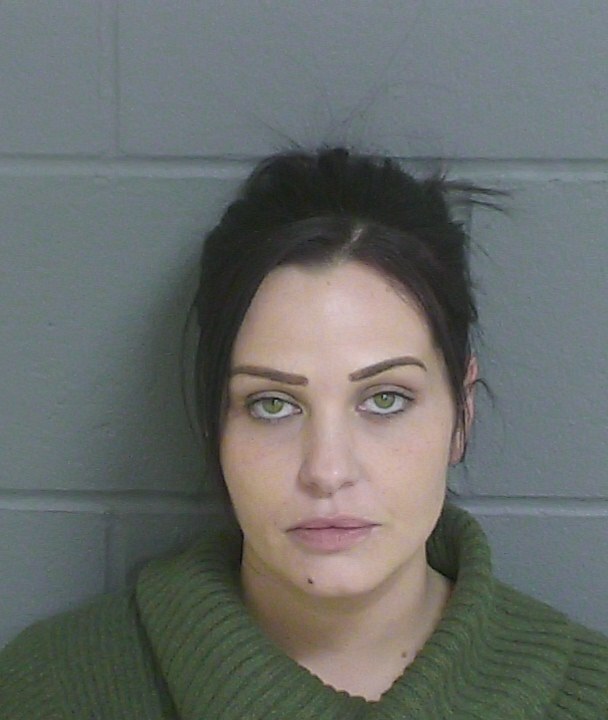 regarding the illegal sale or distribution of alcohol to minors. We encourage anybody with information, no matter how small the detail, to call Dover CrimeLine at 749-6000 or submit an E-Tip. All tipsters remain anonymous and are identified only by their anonymous identity. Up to $1,000 will be paid for information leading to the arrest and conviction of a suspect(s). Dover CrimeLine makes no attempt to gather personal information about you. Your anonymity and trust is our greatest concern. 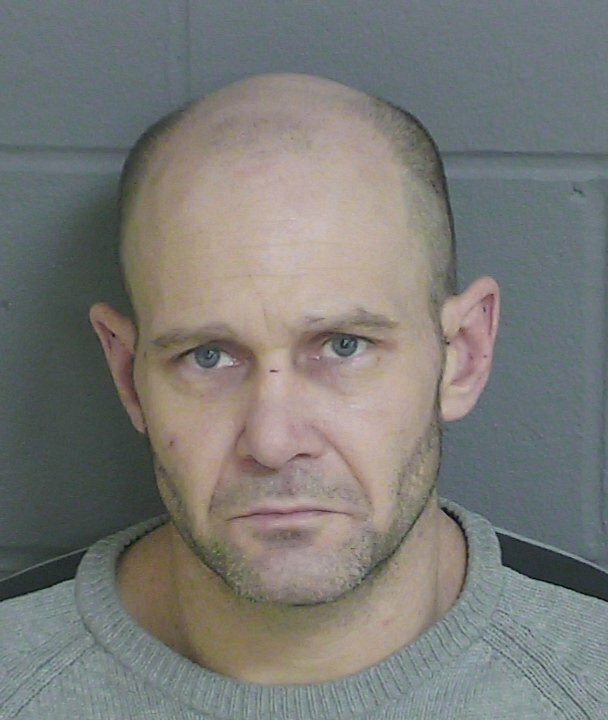 By listing these wanted individuals, Dover CrimeLine is not recommending any attempt to apprehend or otherwise detain a wanted person when having an in-progress sighting. For in-progress sightings please notify local authorities or call 911.
please contact CrimeLine at 749-6000 or submit a tip. 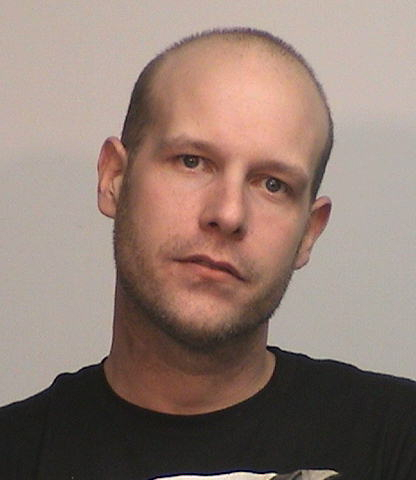 Berube, Michael Wayne - 35 years old, white male, 6', 195 lbs - Wanted for Operation after Suspension, Disobey, etc. 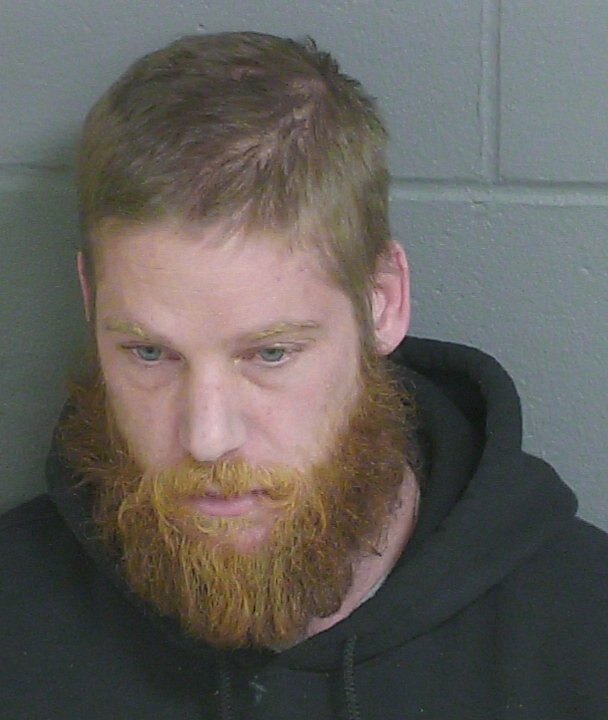 Boyd, Matthew A. 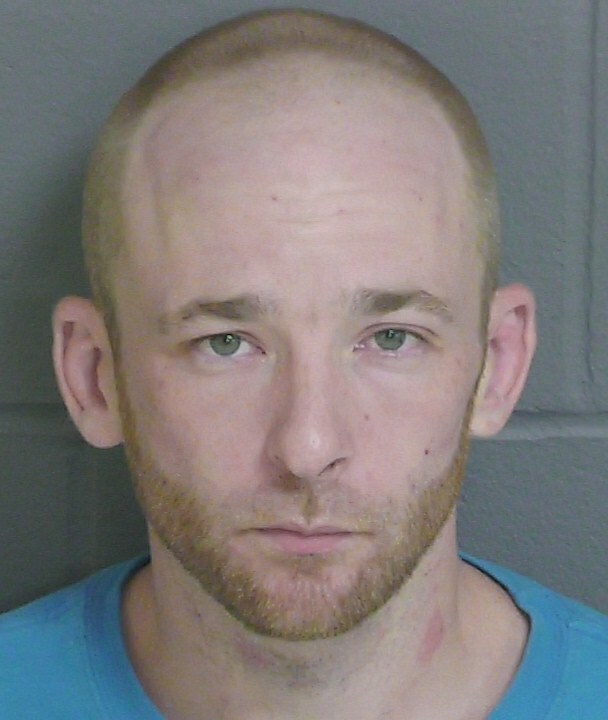 - 35 year old white male - Wanted for Resisting Arrest/Detention, etc. 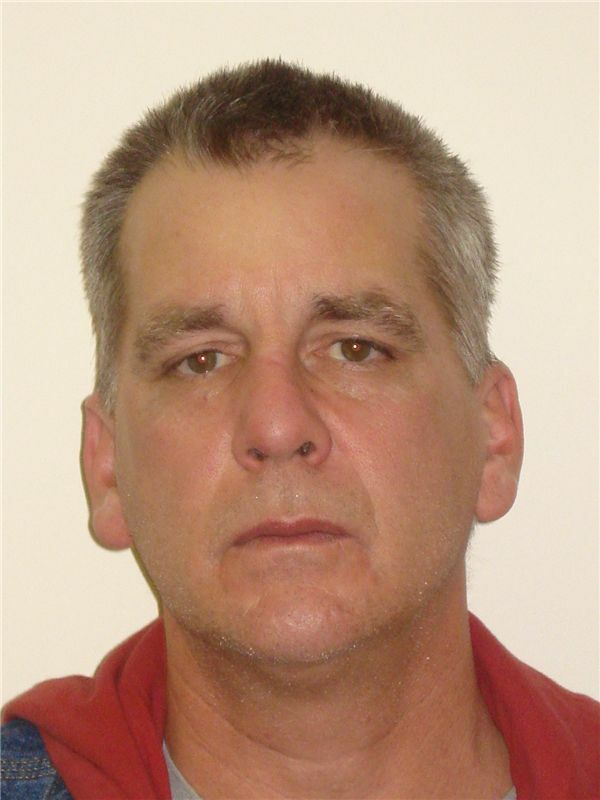 To learn more about other wanted persons, please check out the Resources tab. Tipsters are reminded that this site is for Dover, NH. Tipsters are reminded that CrimeLine is a resource to give information on a crime while remaining anonymous. We are not the investigators. If you have extensive knowledge of a case, it is best to make a report to the law enforcement agency within the jurisdiction of the crime. Otherwise, we can assure you each and every tip is passed on exactly how it is received. Do not use the Anonymous Tip Form to report illegal or suspicious activity that is in progress - call local authorities right away! To submit a tip for a town other than Dover, please click on the Resources tab. Where does this suspicious or illegal activity occur? Example: "giraffe3322", "mustang6682", "lamp9912". You can use the same identity for future submissions. Thank you for your tip, please come back and visit the 'Messages for tipsters' tab for future messages. You may earn an award! If you decide not to create an anonymous identity, we will be unable to contact you for additional information or to give you a reward. Dover CrimeLine meets as a board to decide awards on a tip by tip basis. Awards are delivered to the recipient while maintaining anonymity. From October 1st, 1991 to present there have been 1568 CrimeLine tips contributing to hundreds of arrests. The total amount of money authorized to present: $33,700! Below you will find addresses of informative sites. Dover CrimeLine does not utilize hyperlinks as we cannot guarantee personal data collection policies of any other web sites. Copy and paste the HTTP address to your browser if you choose to continue to any of these sites. To anonymously report crimes to other local agencies - see below. Dover CrimeLine works with the Dover Police Department toward enhanced public safety and crime reduction for the citizens of Dover, New Hampshire. We strive to assist law enforcement agencies with information sharing on crimes and illegal activities within our community. As a primary role, Dover CrimeLine works toward motivating citizens to increase vigilance and, whenever possible, to provide information on crimes and illegal activities by offering financial rewards for important information while maintaining privacy and anonymity for our citizen participants. Annually, we work on various fund raising projects in conjunction with Dover Police Charities. Established in 1991, Dover CrimeLine provides awards of up to $1,000 for information leading to the arrest and indictment of individuals responsible for drug offenses and other crimes. Since its inception, thousands of dollars have been awarded to individuals supplying the information. 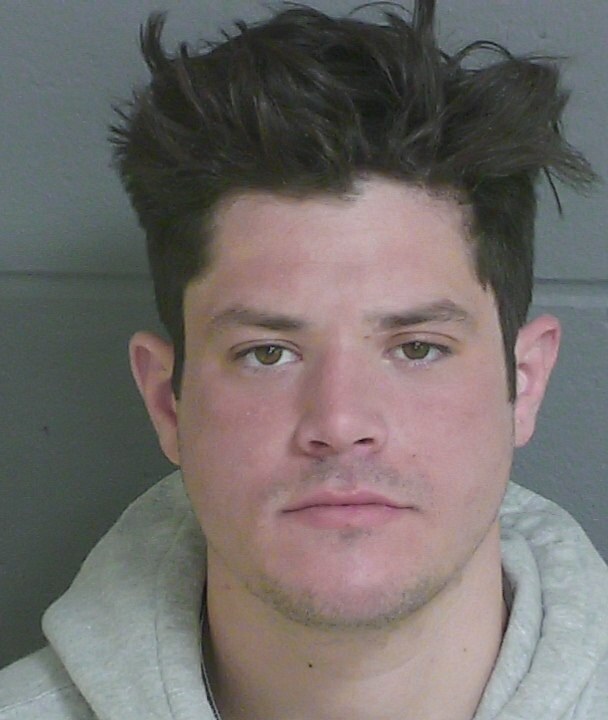 Dover CrimeLine is a separate and distinctly different organization that works with the Dover Police Department in a mutually cooperative partnership for crime prevention and community service. Dover CrimeLine has complete authority over and directs the operation of this website. Volunteer board members of Dover CrimeLine hold regular meetings to review cases, decide on awards, seek out ways to promote Dover CrimeLine, and to conduct other regular business. How do you guarantee my anonymity? We host our own web server in a secure facility where no person has physical access to the server other than vetted personnel. Additionally, we make no attempts to gather personal information about legitimate tipsters. How do I know if I get a reward? Remember your tipster name or your number (given to callers) and check the website. Please allow for a few weeks of investigation and/or board discussion based on your tip. We post reward messages on the Feedback for Tipsters tab. What if the suspicious or illegal activity I am reporting is occurring right now or has just happened? We ask that you immediately call local authorities if you witness suspicious or illegal activity that has just occurred or is still in progress. When you call, you can indicate that you wish to remain anonymous. 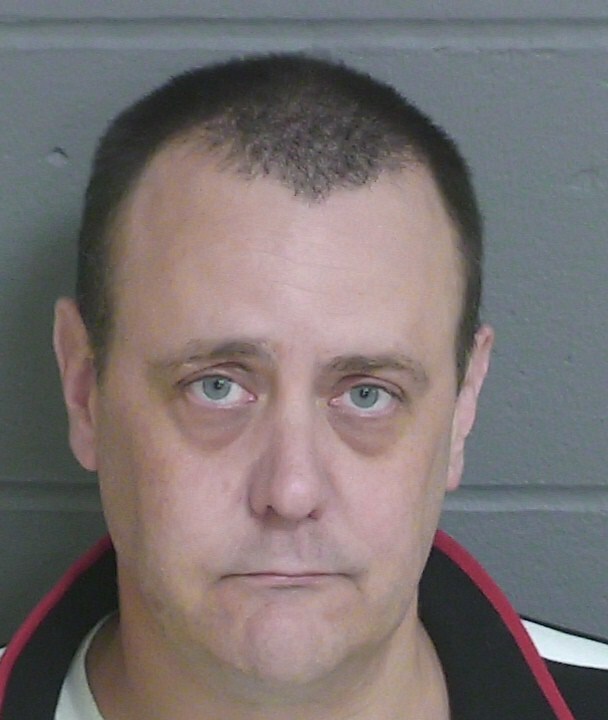 The Dover Police non-emergency number is (603)742-4646. If the situation is an EMERGENCY - please call 911 right away! and fund raising activities to sustain operations and to provide rewards to our tipsters. To send questions or comments to the Webmaster, copy and paste dovernhcrimeline@dover.nh.gov into your email client. When sending an email to the Webmaster you may no longer be anonymous. Want to make a formal police report? Click HERE or see the resources tab. This site is best viewed using Microsoft Internet Explorer 5 or higher. Site last modified on 01/22/2018 .